In the past few days a blog post about A modern approach to complementaries by Delphine Doreau which by I highlighted on Facebook has attracted a huge audience and very many shares. Delphine made an RGB colour gradient in a circle and then inverted the same colour gradient at 180 degrees inside the circle - so that each colour matched up with its complementary in terms of RGB colours. So for those of you who don't follow Making A Mark on Facebook, you can find the link to the article at the top of this post. 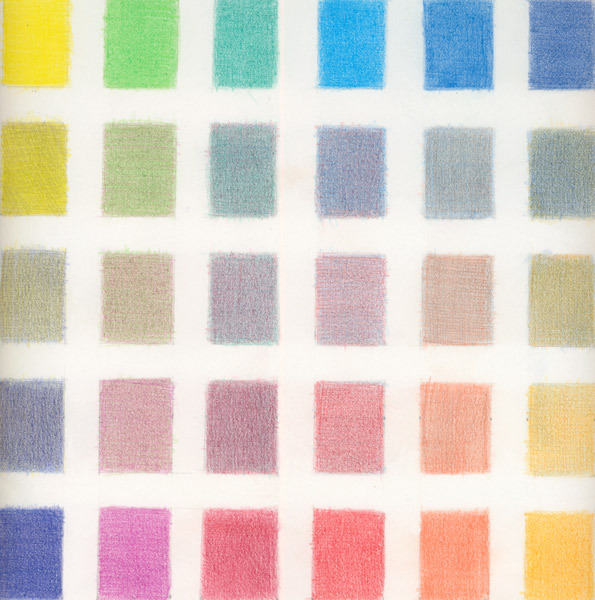 My own collection and compilation of information about Colour is "in transition" to a new website at the moment. 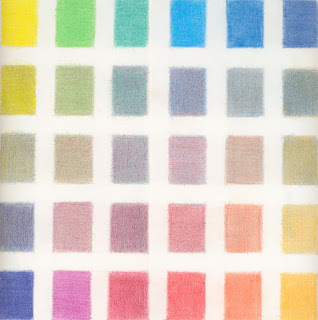 However below are a few more links about colour from my 2008 major Colour Project which might be of interest to artists. Hues - a systems perspective Jul 8, 2008 ... Hues: primary, secondary and tertiary colours; How to represent colour ... Colour harmonics - complementary colours, analogous colours etc. 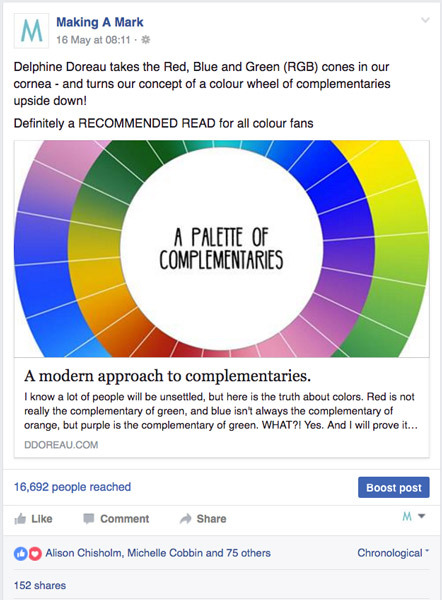 Describing a colour space - there's more than one colour wheel! (10 July 2008) About a Matrix of Theories about Colour Space - which is the method I've adopted to categorise some of the people who have tried describe colour in terms of spatial relationships - to describe a colour space. Analogous Colours (Jul 16, 2008) This post is an attempt to redress the balance on the paucity of online information about analogous colours - but it also recommends other sources of even better advice and information! Wow! And just when I had it all memorized. Actually, I've been having trouble with shadows on shrubbery so I'll try a little purple.